The western coast of India is home to some of the most pristine and untouched beaches in the country. The first long ride of the year can’t get any better – ride along the coast for 13 days and watch the sun go down at a different beach every day. For Royal Enfield aficionados, this dream ride got a lot easier. The Chennai-based bike maker has commenced registrations of the Coastal Trail 2019. 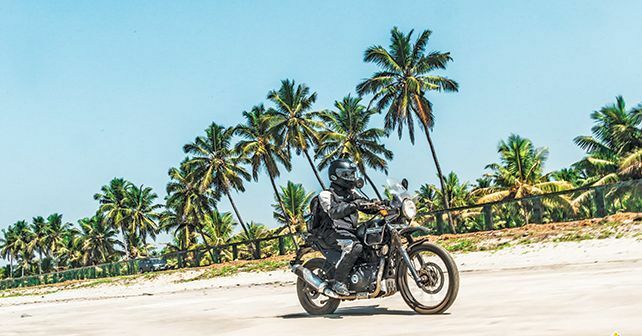 The 13-day ride takes participants from Navi Mumbai to Kanyakumari across five states – Maharashtra, Goa, Karnataka, Kerala and Tamil Nadu – and some of the most unexplored beaches along the west coast. The Coastal Trail 2019 commences on 26th January from Navi Mumbai and concludes on 7th February in Kanyakumari. Riding a total of over 1,700 kilometres, participants will ride through places like Ganpatipule, Gokarna, Mangalore and Kannur before concluding at Kanyakumari. Like every Royal Enfield ride, this one too will have a service back-up team with a mechanic, tools and basic spares. Participants will rid for 9 out of 13 days – with the first day reserved for briefing and scrutiny and a rest day on 31st January at Agonda. Given below is the full itinerary of the Royal Enfield Coastal Trail 2019. Interested participants can register for the Coastal Trail 2019 on Royal Enfield’s official website. The charge for a single participant is Rs 22,000. You can also take a companion/pillion for the ride at an additional charge of Rs 22,000. The ride is only open to the first 30 participants. Our man Arup Das rode the Coastal Trail last year, here’s a quick piece about his experience.